Arguably, the following men may fall under one or both of the previous categories, depending on subjective opinion. 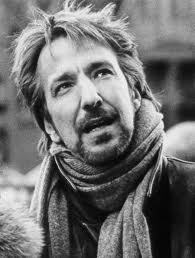 1) Alan Rickman– In more films than you can shake a stick at, Rickman has been on the scene with his dulcet voice and acerbic wit since he was…a much younger man. Whether or not you still find him attractive, you can’t deny his talent. 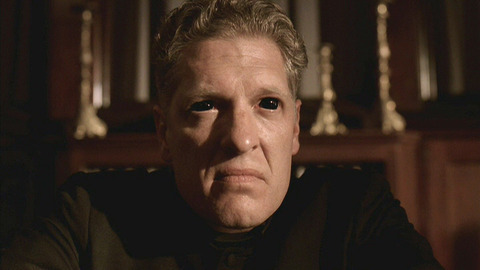 2) Clancy Brown– Another veteran actor, Brown has been in innumerable films and television programs. He pulls off his characters with singular intensity. You might remember him from some of his more iconic roles, such as the Kurgan in the first Highlander film and The Shawshank Redemption, or the demonic dramatic Brother Justin in the HBO series Carnivale. But if that’s not enough to convince you, despite his fame and prestige, he’s still not too proud or self-important to be the voice talent behind countless animated shows for kids. You have to love Clancy. Come on, he’s Mr Krabs! Well, as always, thanks for slogging through all my silly pontification. Now off to bed with me so I can dream about hot older men…or something. This entry was posted in JustBlog Entries and tagged affair, Alan Rickman, celebrity, celebrity crushes, Clancy Brown, Harrison Ford, Highlander, Kurgan, Liam Neeson, Tim Roth. Bookmark the permalink. 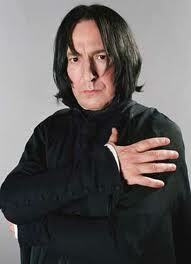 I like Alan Rickman, just not in HP. He has a really nice voice and great humor! His voice and accent ARE pretty great! 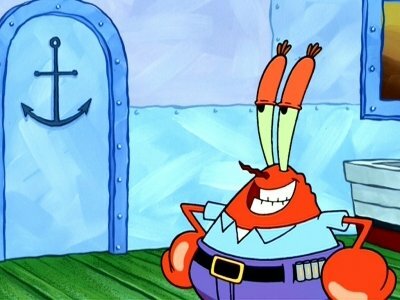 LOL, when I posted this on FB, Mr. Krabs was the pic that popped up in the Thumbnail Preview. Oh, sweet irony! I got nothing against Soundgarden (although have you seen the video for “Black Hole Sun?” talk about creepy). Creepiness has no regard for musical talent. Take your man Jonathan Rickman. Great actor, right? Sure he is. Also a major creep. You mean Alan Rickman? Why is he a creep? Cuz he plays Snape in Harry Potter, or is he, like, supposed to be a douche in real life?